Would this classify as "dual sport?" 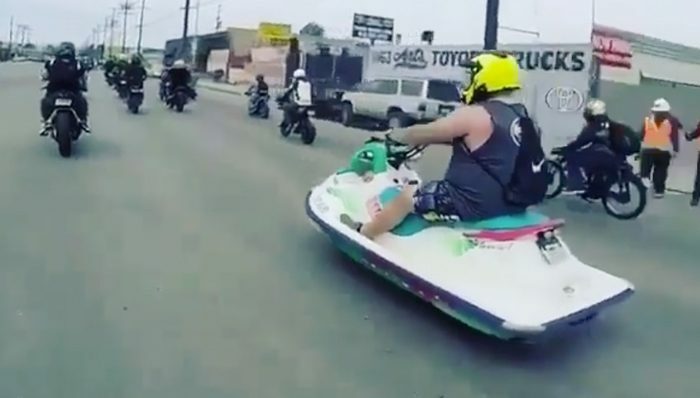 We’re not sure if this is some unique new “aqua bike” designed to work on both land and water or if it’s just a creative way to re-purpose a decommissioned PWC. One thing’s for sure, you don’t want to mess with this biker gang.